The terms and conditions below including all other terms, information, materials detailed in the Website, www.TheBigBox.Asia (“Terms and Conditions”) constitute the entire agreement and supersede any and all preceding and contemporaneous agreements between you and www.TheBigBox.Asia. Any waiver of any provisions herein will be effective only if it is made in writing and issued by an authorized personnel of manager level and above from www.TheBigBox.Asia. a. )The access of information of www.TheBigBox.Asia including access to the Website, www.TheBigBox.Asia and any link sites thereto. b. )The sale and purchase of all Products through www.TheBigBox.Asia. By accessing www.TheBigBox.Asia, which may include submission of an order for the sale and purchase of any Products, you would have read, understood and agreed to these Terms and Conditions as stated herein, if you are not agreeable to the Terms and Conditions herein, please cease all access to www.TheBigBox.Asia immediately. The Terms and Conditions shall be governed by and will be interpreted in accordance with the laws of Malaysia and you shall submit to the non-exclusive court jurisdiction in Kuala Lumpur, Malaysia. If any provisions herein is held by a court of competent jurisdiction to be illegal, invalid or unenforceable, that provision shall be deemed amended to achieve as near as possible the same economic effect as the original provision, and the legality, validity and enforceability of the remaining provisions of the Terms and Conditions shall not be affected or impaired thereby. All the terms and conditions herein including “Disclaimer of Liability”, ‘Return and Refund Policy’ etc. shall be valid and enforceable unless otherwise required under the local laws. ‘You’ or ‘your’ refers to anyone who may access www.TheBigBox.Asia to view any information and materials or to make a sale and purchase of any Products through the Website, www.TheBigBox.Asia and any link sites thereto. ‘We’ or ‘our’ or ‘us’ refers to www.TheBigBox.Asia and may include any authorized personnel, link sites or legal entities which may be authorized by us to have liaison with you. ‘Products’ or ‘Product’ refers to any and all products for sale by www.TheBigBox.Asia or any link sites thereto. ‘Working day’ or ‘office hours’ means Monday until Friday from 9AM to 5PM (GMT+8), excluding public holidays for Malaysia. Headers are for reference only and do not affect the interpretation or form part of the terms and conditions herein. To place orders online with www.TheBigBox.Asia, you will first need to register for a free account with www.TheBigBox.Asia. To register for an account, you must be a Malaysian citizen or resident and at least 18 years of age. Users under 18 years of age (“underage users”) shall seek parental and/or guardian approval and consent to gain access including registration at www.TheBigBox.Asia. Any form of proof of parental and/or guardian approval may be requested by www.TheBigBox.Asia at any time and www.TheBigBox.Asia considers it the responsibility of the respective parents and/or guardians to monitor all usage and/or response of said underage users and shall be responsible for all obligations on expense, payment, indemnity, losses and damages arising from the underage users’ access and response in www.TheBigBox.Asia and any link sites thereto. You shall ensure that all information provided during registration of an account or during any other circumstances are accurate and complete. If you would like to update or change the information you have provided, you may simply log-in to your account via www.thebigbox.asia/login and amend the information provided. All personal information provided by you are stored securely by www.TheBigBox.Asia and protected as how www.TheBigBox.Asia will protect its’ own information. We reserve our right to refuse the registration of and/or sale and purchase of any Products, and to terminate the registration of accounts or the registered accounts may be denied access at our absolute discretion for any reason we deem fit without prior notice. www.TheBigBox.Asia will not modify, change or update information provided by you unless it is compelled to do so under the laws or due to any special circumstances. 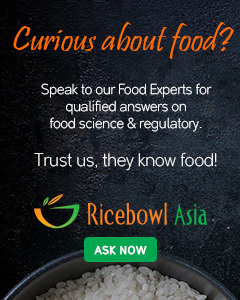 You agree to be fully responsible for all access to www.TheBigBox.Asia using your registered account. Whilst due care has been taken to ensure the Products illustration and information provided in www.TheBigBox.Asia including Products pricing is as accurate as possible, the price advertised as a comparison with the pricing of the Products offered by www.TheBigBox.Asia may be an estimate reflective of normal market pricing of the Products, photos and images used are only representations and by way of illustration of the Products and variations may apply from time to time. We do not warrant the accuracy or completeness of the pricing, materials and information provided by www.TheBigBox.Asia or any link sites thereto. We reserve our right to change without any prior notice such information including any amendments to the Terms and Conditions made available to you arising from your access of www.TheBigBox.Asia and the link sites. It is your responsibility as a user to review and understand all applicable terms and conditions for your access to www.TheBigBox.Asia and the link sites at all times. TheBigBox.Asia will not be liable for any misuse of passwords or account hacks, unless this happens at our own fault. In respect of the online orders, we must receive full payments for the Products that you have ordered notwithstanding due processing of your order may have been made without any payments at all. All Products delivered without payment shall be subject to the unpaid amount becoming due and payable to www.TheBigBox.Asia immediately on demand as an outstanding debt. The creation and email of a digital receipt will only occur when full and final payment has been verified. We reserve our right to consolidate or split any one or more orders for delivery, charges and billing as we may deem fit and proper unless prior instructions otherwise in writing has been received from you. As not all Products packaging and sizes will correspond with the description/ information and images provided by www.TheBigBox.Asia, we reserve the right to provide the best available size of the Product corresponding to the price quoted. 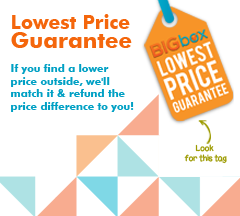 www.TheBigBox.Asia will take all reasonable care to ensure that all prices including any prices advertised as a comparison with the pricing of the Products offered by www.TheBigBox.Asia, quantities and sizes of the Products shown by www.TheBigBox.Asia is accurate. However, we reserve the right to rectify and amend any inaccuracies in the price and other details of any Products without prior notice. We may (but do not undertake to) inform you of any changes, adjustments or amendments in the pricing or description of any of the Products. Insufficient stock to deliver all the Products you have ordered since all Products are supplied whilst stock last. Any of the Products you have ordered is no longer available. We do not deliver to the address detailed for delivery. One or more of the Products ordered has been listed at an incorrect price due to a typographical/clerical error or any error in the pricing information. Any incidences due to unforeseen circumstances or which may render any orders null and void or voidable at our option. If we cancel your order, we will notify you by email and refund to you the total sum paid for your order(s). www.TheBigBox.Asia will not be obliged to offer any compensation for disappointment or inconvenience suffered. We shall also not be liable for any loss or damage whatsoever (including indirect or consequential loss) arising from a cancellation of your order. All and any compensation and reimbursement of any damages and losses shall be limited to the total amount paid for the relevant Product in your order. any purchases made at RM100 or below per order will be charged a delivery fee of RM10. We reserve the right to refuse and reject any orders cancellation made by you, however exceptions may be made should you email us at WeCare@TheBigBox.Asia or contact our online Customer Service as provided herein at the soonest after you have submitted your order. A verified third party delivery service provider will deliver the Products ordered by you at the address provided during ‘Checkout’ or in default, at the address detailed in your registered account. We deliver to almost all addresses in the Peninsular Malaysia. However, we reserve the right to restrict deliveries to certain addresses and places including restrictions imposed by the third party service provider. We will make every reasonable effort to ensure all Products ordered by you will be delivered on time; in any event, we shall not be liable for any damages or losses arising from late or cancelled deliveries, save that in the event of cancelled deliveries, we will refund to you the full payment made to us in accordance with the Refund and Return policy. All title to the Products shall pass to you upon full payment. Risk in the Products shall pass to you upon delivery of the Products at the address for delivery. Delivery will be made as soon as possible by our verified third party delivery provider after your order is verified and processed. Delivery leadtime is about 2 to 3 working days. Delivery hours are normally during office hours with certain deliveries taking place during the weekends at the discretion of our verified third party service provider. At times, the service provider may contact you directly for necessary arrangement for delivery. All deliveries shall be acknowledged and signed off by you or an appointed person at the time of delivery and noted on our copy of the Consignment Note. Should you appoint a person to receive the delivery, it is your responsibility to ensure the appropriate person is present to sign off for the Products delivered. We shall not be held responsible for any deterioration in the quality of the Products delivered due to a missed delivery including compromised quality of any Product. In the event any of the Products delivered are damaged, defective or in an incorrect quantity, it will be your responsibility to inform us as soon as possible and within 5 working days from the date when the Product is received. We will not accept any requests for refunds after 5 working days of the delivery date. As we are committed to customer satisfaction, any verified refunds will be processed after 5 to 7 working days. We reserve the right to conduct any refunds in the form of a cash refund in the full amount you have paid for the Product damaged or defective; or a replacement of the same Product or similar Product of equal price. On any requests for refund, kindly email us at WeCare@TheBigBox.Asia and include all information in relation to the sale and purchase, such as details concerning the reason for rejection of Products, billing/invoice number shown in the digital receipt etc. You may click on the following links for more information on our Refund & Return Policy and our General Return Policy. Cash-on-delivery: Payment is only made once products arrive at your delivery address. Credit Card/Debit Card: Payment is made upon the ‘Checkout’ process on www.TheBigBox.Asia. A digital receipt will be sent to your email address once payment is made. Only online banking fund transfers (e.g. cash transfers via Maybank2U, CIMB Clicks, etc) are available for now during the 'Checkout' process on www.TheBigBox.Asia. A digital receipt will be sent to your email address once payment is made. The material displayed on this Website is provided without any guarantees, conditions or warranties as to its accuracy. Unless expressly stated to the contrary to the fullest extent permitted by law www.TheBigBox.Asia and its suppliers, content providers and advertisers hereby expressly exclude all conditions, warranties and other terms which might otherwise be implied by statute, common law or the law of equity and shall not be liable for any damages whatsoever, including but without limitation to any direct, indirect, special, consequential, punitive or incidental damages, or damages for loss of use, profits, data or other intangibles, damage to goodwill or reputation, or the cost of procurement of substitute goods and services, arising out of or related to the use, inability to use, performance or failures of this Website or the Linked Sites and any materials posted thereon, irrespective of whether such damages were foreseeable or arise in contract, tort, equity, restitution, by statute, at common law or otherwise. This does not affect www.TheBigBox.Asia's liability for death or personal injury arising from its negligence, fraudulent misrepresentation, and misrepresentation as to a fundamental matter or any other liability which cannot be excluded or limited under applicable law. 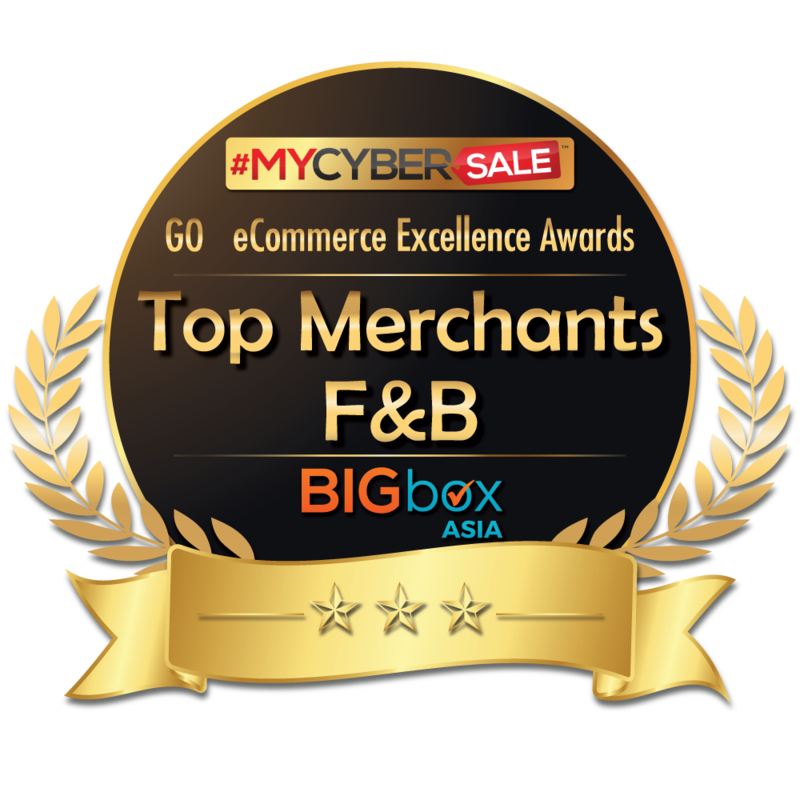 www.TheBigBox.Asia makes no representations or warranties on satisfactory quality, merchantability, fitness for purpose of the Products and in any event, you shall not look to www.TheBigBox.Asia for any warranty or representations.. Utilization of any warranty given by the manufacturer of the Products shall be governed by applicable law. www.TheBigBox.Asia shall not be responsible for any delay or failure to perform any of its obligations herein if the event is caused by circumstances beyond its reasonable control or otherwise unavoidable (“Force majeure”). www.TheBigBox.Asia’s total liability herein in respect of each event or series of connected events which may give rise to any claims shall not exceed the registration account fee of www.TheBigBox.Asia, if any, and the value of the Products giving rise to the claims. All copyrights, trademarks and other intellectual property rights in all contents, materials, concepts and graphics supplied as part of this website shall remain at all times our property or the property of our suppliers or other third party contents providers, as the case may be. Strictly, you are not permitted to use or reproduce any of these materials in any way without our and/or the relevant third party proprietor(s)’ prior written approval. Our online Customer Service strictly operates during office hours of Monday until Friday from 9AM till 5PM (GMT +8), excluding public holidays and weekends for Malaysia.